Global Strategy is involved with more than 65 development projects with the Church of God around the world. The mission of Global Strategy is to walk alongside the local church globally. Through more than 65 development projects, this is accomplished through Christ-centered empowerment, creativity, sustainability, and accountability. We are excited to highlight four of these projects as part of our year-end impactX2 campaign. Nothing is more exciting than to see the beginnings of new ministry, but with that comes necessary growing pains—how to organize, create systems and structures to maintain developing ministry and become self-sustaining. 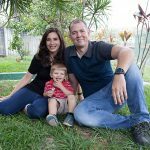 Through training and development of leadership, Steven and Peggy Beverly, Global Strategy missionaries to Sri Lanka, are working alongside local church leadership to further the vision and growth for this area. 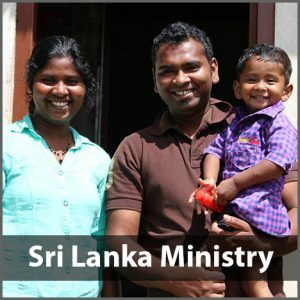 This is a comprehensive plan that approaches ministry sustainability in Sri Lanka from multiple angles. One of the greatest challenges is developing locally sustainable sources of income for pastors and churches. The creative options being developed serve not only as income sources but also as job and ministry opportunities. To learn more about this ministry or to contribute, click here. An hour outside of the capital of Port-au-Prince, St. Ard Hospital serves a population with limited resources and a great need for all forms of medical services. In 2018 the St. Ard Hospital expanded its services to become a 24-hour facility with the addition of an emergency center. And with that expansion comes an increased need for supplies and equipment. 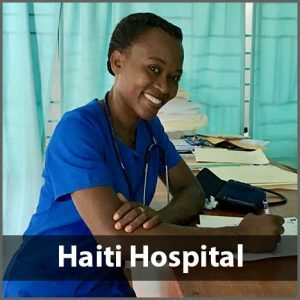 The hospital is proud to be fully staffed by Haitian medical professionals, with a ministry that uses general medicine and medical procedures to provide comfort and opportunities for evangelism and spiritual growth. Services include surgery, optometry, dentistry, pediatrics, prosthetics, obstetrics, and internal medicine. Mark and Kathy Fulton serve alongside the Haitian staff in this incredible ministry to the church and community. The hospital staff and their patients are supported by prayer warriors from the local Church of God congregation who daily walk through the hospital praying for the staff, patients, and families. The city of Madrid is home to over 6 million people, who primarily claim Roman Catholicism as their religion. Among those, only a small fraction of the population would say they practice their religion. Spain is one of the most challenging environments for the Christian church, mostly due to the country’s complicated religious history as well as its current secular, post-Christendom mindset. 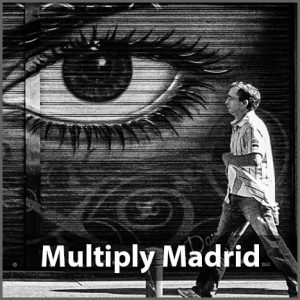 With this in mind, the goal of Alejandro and Carmen De Francisco and the Three Worlds team is to start a ministry in Madrid, Spain that will, within five years, be fully functioning and self-propagating. The long-term goal is for this ministry to serve as the launching pad for further ministry throughout Spain—10 churches in 25 years. The De Franciscos left for Spain in March 2017 to begin a work in Madrid. 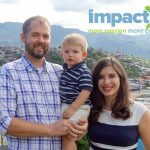 Funding from the Impactx2 2017 campaign helped to make their departure a reality. Your support of this project will help to birth a church network in Spain, but you can see the great challenge that lies ahead. 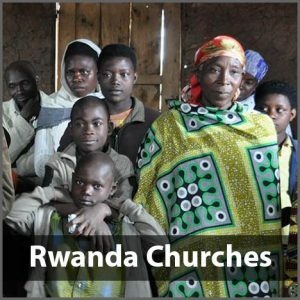 The church in Rwanda is vibrant and growing, but it faces incredible challenges. The Rwandan government has focused heavily on development across the society. As a part of the governmental development plan, churches must comply with building and community development standards as well as pastoral credentialing. This project enables a local congregation to meet requirements by providing a suitable building, pastoral development, and micro-enterprise training and loans to build up the congregation’s sustainable economic capacity. A recent visit and partnership with the Church at the Crossing, Indianapolis, Indiana, and Central Community Church, Wichita, Kansas, has served as a catalyst and great encouragement for this project. Your participation would enable church ministry and growth to continue in this region. To learn more about the development work of Global Strategy in partnership with local leadership and congregations around the world, click here.